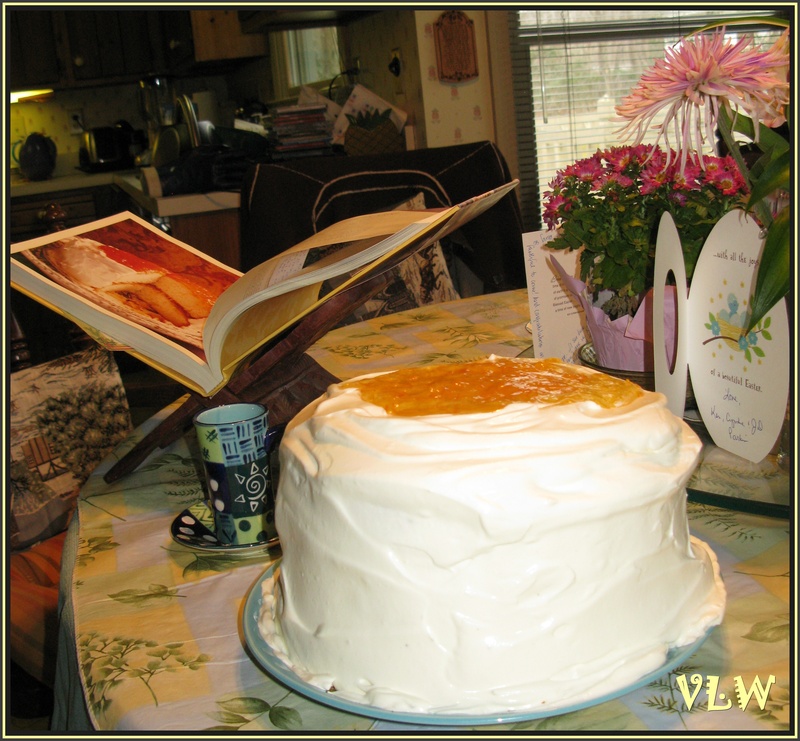 And, yes, it has become a tradition for Virginia (your humble blogger who also doubles as the chief cook & bottle washer of the Woodward Home) to bake it at least once a year – either for Mama’s March 15th birthday or for Easter. …But, this year on Easter Sunday (after recovering from a midnight post-Easter-Vigil-Lent-is-over–chocolate-fest… & the subsequent chocolate hangover) the mixing process began well until the ‘add cake flour’ part. Old flour ’tis not good for any cake, much less super-special Marmalade Cake. What to do? 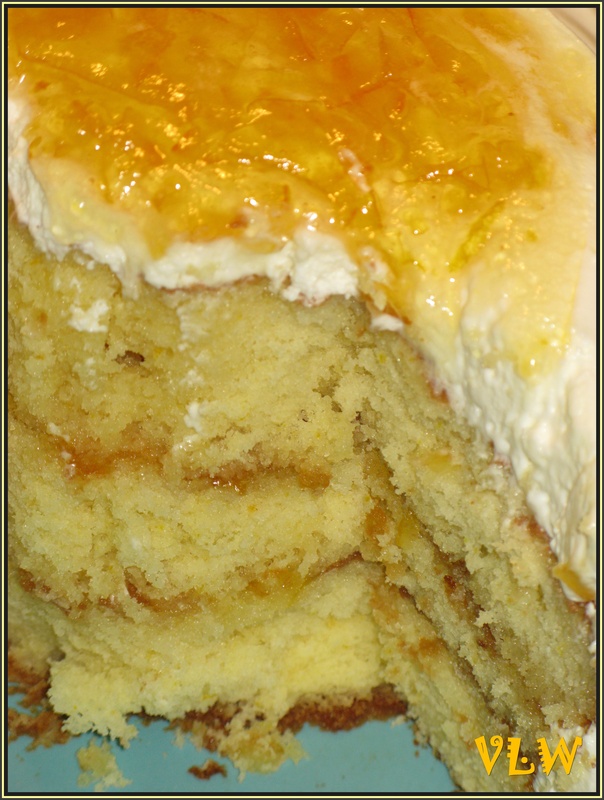 Quick thinking – to turn a two layer Marmalade into a three layer with WHITE LILY flour. 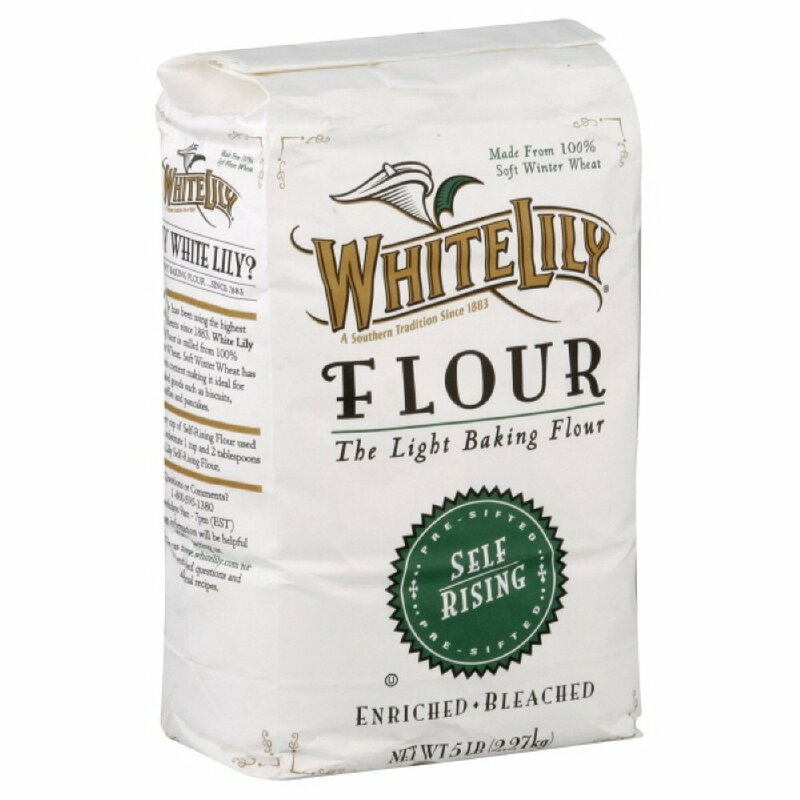 I have used White Lily for biscuits & muffins & cakes ever since dearest Mildred Tabor, one of my parents’ oldest friends (& the Best Pie Baker EVER from Columbia, South Carolina) told me about it eons ago. 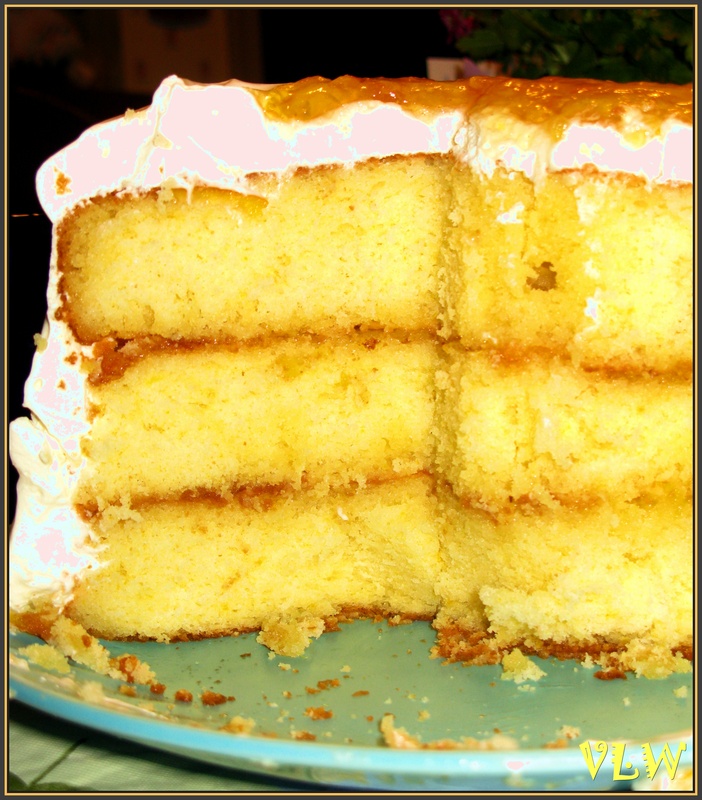 Still, ’tis a bit tricky using White Lily for such a fine cake — but by making a three layer (definitely cutting out the baking powder) & making a few wee adjustments (see the p.s. 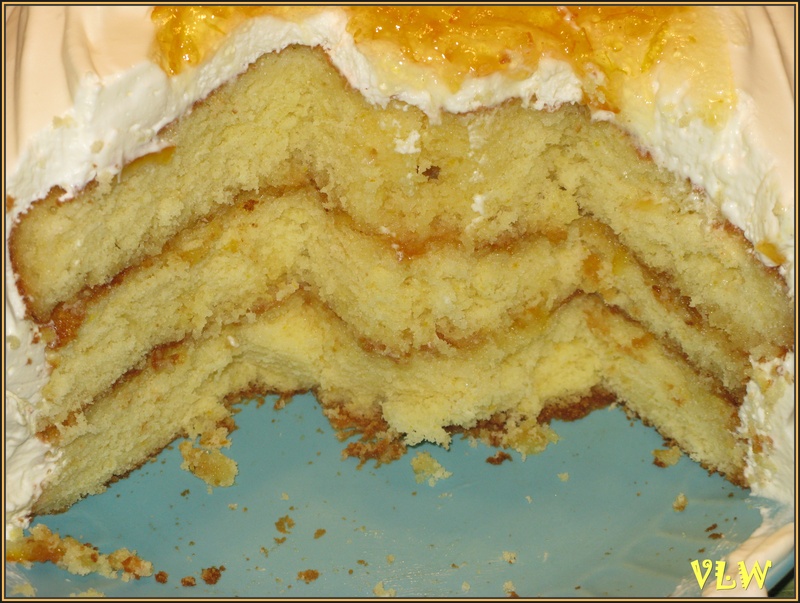 & recipe link) … the Marmalade Cake turned out JUST FINE. More than just fine: Delightfully Deliciously Fine. ….& if you haven’t read Jan Karon’s books, you are in for a delightful treat getting to know Father Tim, Cynthia, Dooley, Puny, Miss Sadie, Louella …& the host of other Mitford characters who will become your friends. Trust me on this one – very good friends. And, now there are 16+ of her wonderful books, all BESTSELLERS, to enjoy. This entry was posted in Bookshelf (BOOKS), SNAPSHOTS & WHATNOTS and tagged baking, baking cakes, cake recipes, cookbooks, Cooking, Food, inpirational books, inspiration, inspirational authors, Jan Karon, Marmalade cake, Mitford books, mitford cookbook, orange marmalade cake, photography, White Lily Flour. Bookmark the permalink. Your post re. an author-provided recipe reminds me of a favorite of mine: Marjorie Kinnan Rawlings (author of The Yearling) and her mother’s recipe for homemade biscuits. I have it in Bernard Clayton’s Complete Book of Small Breads but he cites Rawlings’ Cross Creek Cookery as the source. The recipe is titled “Mother’s Biscuits.” I used to think that making homemade biscuits would be difficult and messy but with years of practice & learning my own approach to mixing & forming them, it’s become a quick & easy thing that I absolutely love to do, especially the part about watching my family enjoy the mouth-watering flaky biscuits topped with butter and jam or marmalade! Reblogged this on Hot Pink, High Heels, & Explosions. On behalf of all your dedicated readers, thank you! oooh, John, hope the ‘work’ turned out well? just beware, it’s hard to just have One Piece of this cake (!!!) i must confess, the week after Easter i had, like, TWO pieces each day (one with morning tea & one with afternoon tea…) … & a few spoonfuls at night when no one was looking! Great.! I have always enjoyed your innovations. Thank you. V: Am enjoying working my way through your own ‘bookshelf’ category. Love the quote about God giving us a dream. And I added tabs for the recipe and the book. Nice work. I’m baaaaaack! 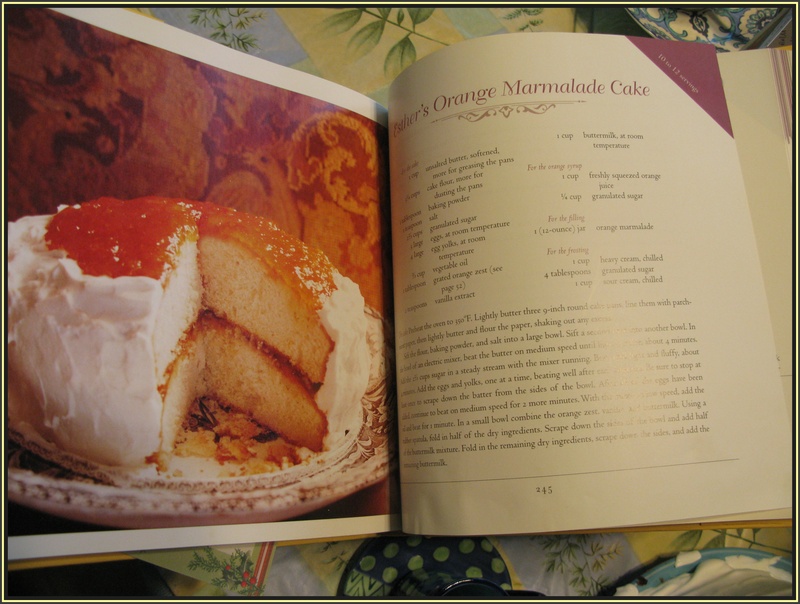 Wanted to revisit the orange marmalade cake and you know what? I think I liked reading this post just as much the second time as the first. And I’ll be on the lookout at our specialty food store for White Lily Flour. Too intriguing to not conduct the search and, well, Amazon makes things too easy, so I’m not doing an online search till I do an in-person search. Can I double-like this post? Who knows–maybe this will be a Super Bowl recipe in two days.